Are you considering a Toyota camper? We absolutely loved traveling full time in a Toyota motorhome. Today we want to share a video tour of our Toyota Dolphin RV. 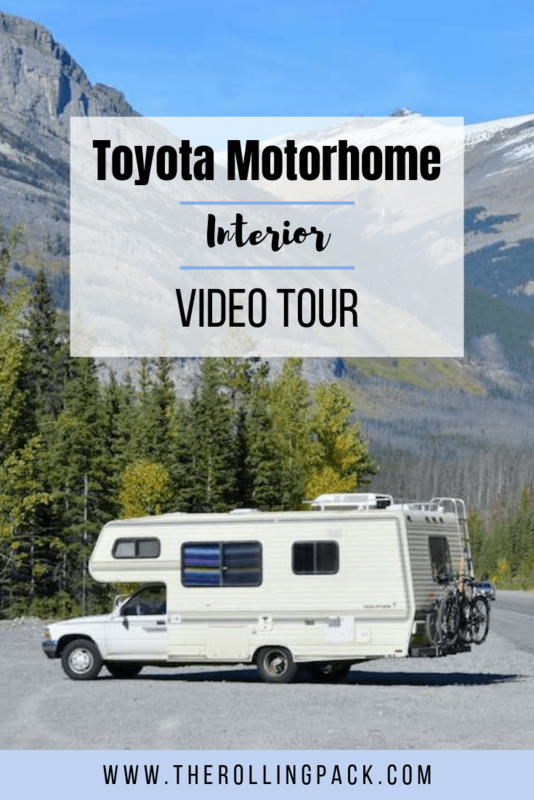 See the notes below the video for links to our renovation posts, and lots of other great information on Toyota motorhome travel! If you’d like to read our step by step guide to installing our hard floor click here! For a step by step guide to installing a 12v USB charging port click here! For all our must-have boondocking gear for travel in Mexico click here! We absolutely love our Toyota Dolphin. Read all about why we chose a Toyota motorhome! And finally, if you want all of our best insider tips/tricks for full time RV living in a Toyota motorhome check out our Ebook: Nomads in Campers: A Step by Step Guide to Living Your Nomadic Adventure.